Do you want this Painted? Do you want your spoiler fitting? A high quality Ford Custom Rear Spoiler at a great price. Our Polyurethane (PU) Rear Twin Door Spoiler is provided ready for you to prime and paint to match your Ford Transit Custom. It will fit all models of the Ford Transit Custom Van & Custom Torneo MPV from 2012 to current model. It gives a great look and also adds dynamics to your Custom too. Our spoiler is easy to fit using the included fixing kit, which requires no drilling to the body work. Smooth, solid polyurethane construction using latest injection molding technology. Supplied ready to prime and paint. Easy mounting system, no need to drill. Full fitting instructions and fitting kit provided. Will only fit Ford Custom with twin rear doors (barn doors). Fits right and left hand drive. Painting is NOT INCLUDED in the price. Priming must be done with Etch Primer. 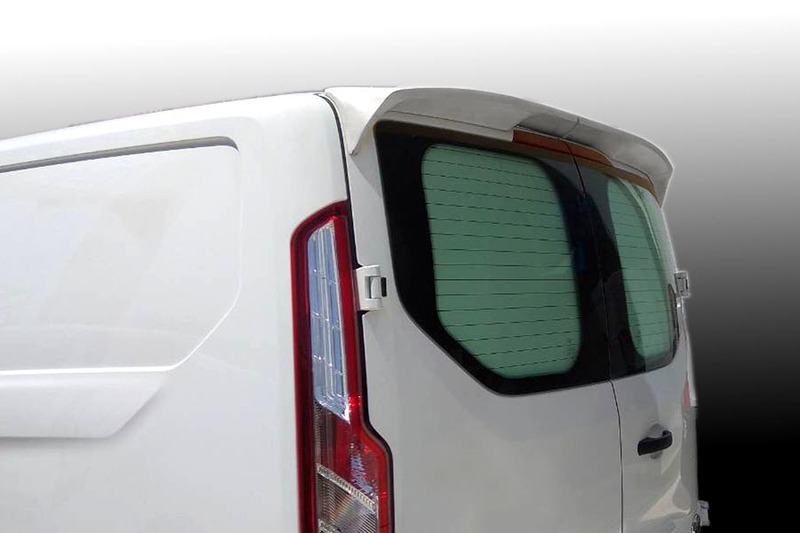 Click the button below to add the Ford Transit Custom Rear Spoiler TWIN DOOR - Unpainted to your wish list.